Airing this Friday, September 12 at 10 p.m. 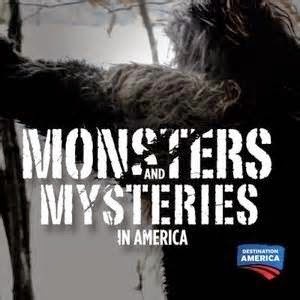 ET, is a special edition of Destination America's "Monsters and Mysteries in America" called "Monsters & Mysteries: The Blackburn Files." The special, anthology edition episode will be hosted by crypto-zoologist Lyle Blackburn. Blackburn is out to prove that the unidentified monsters that seem to have immersed entire towns in fear, are more than just figments of their imaginations. · Lake Worth Monster – In the summer of 1969, young couples in Texas’ sleepy Lake Worth community were attacked by an aggressive, horned, hybrid monster that was half man, half goat. Though many thought the creature had disappeared, two decades later the encounters continue. Tune in to Destination America this Friday, September 12 at 10 p.m. ET to see if Blackburn makes a case for the existence of these creatures.